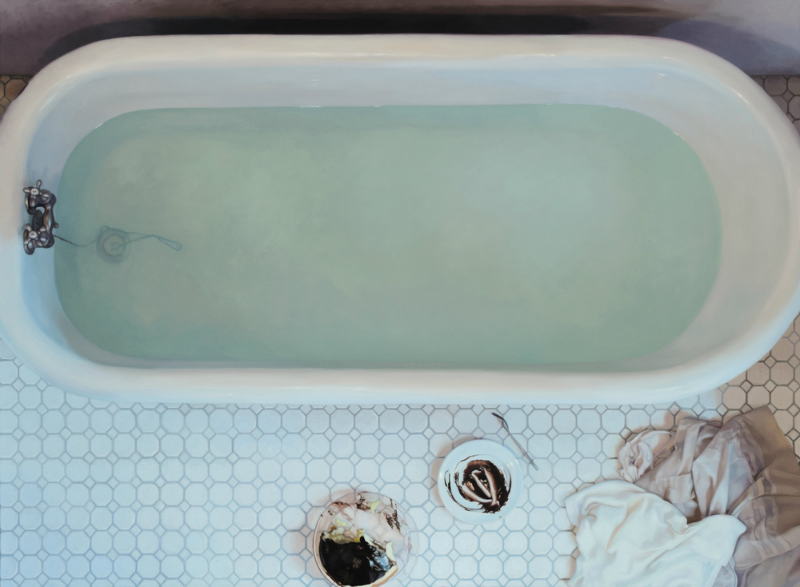 These paintings are so perfectly realist that when I first saw them on Tumblr (where else can you discover so many wicked artists? ), I thought they were photographs, for real. 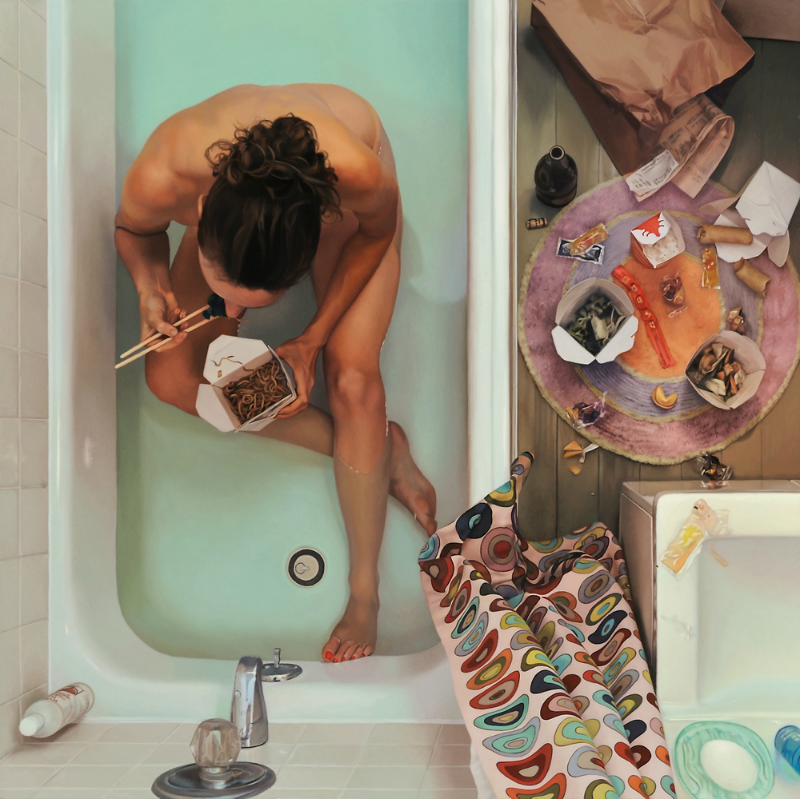 Apart from her brilliant technique to create such wonderful photorealistic oil paintings (mainly self-portraits); what I particulary love about Lee Price's work is that she examines a rather controversial topic on it: women's secret relationship with food (e.g binging as a result of stress, loneliness or even extreme happiness); something most of us do & can definitely identify with. Moments of intimate indulgence savoring desserts in places of solitude like the bath or in bed... she definitely gets it.